Turbine machinery for the Mauretania, in the erecting shop of the makers, the Wallsend Slipway & Engineering Company Limited. The Mauretania was built by the shipbuilders Swan Hunter and Wigham Richardson Ltd, at the Wallsend shipyard and was one of the most famous ships ever built on Tyneside. Ref: TWAS:DS.WS/143/2/2/A346F (Copyright) We're happy for you to share this digital image within the spirit of The Commons. Please cite 'Tyne & Wear Archives & Museums' when reusing. Certain restrictions on high quality reproductions and commercial use of the original physical version apply though; if you're unsure please email archives@twmuseums.org.uk. To purchase a hi-res copy please email archives@twmuseums.org.uk quoting the title and reference number. 1.364 examines site characterization and geotechnical aspects of the design and construction of foundation systems. Topics include: site investigation (with emphasis on in situ testing), shallow (footings and raftings) and deep (piles and caissons) foundations, excavation support systems, groundwater control, slope stability, soil improvement (compaction, soil reinforcement, etc. ), and construction monitoring. This course is a core requirement for the Geotechnical Master of Engineering program at MIT. 1.364 examines site characterization and geotechnical aspects of the design and construction of foundation systems. Topics include: site investigation (with emphasis on in situ testing), shallow (footings and raftings) and deep (piles and caissons) foundations, excavation support systems, groundwater control, slope stability, soil improvement (compaction, soil reinforcement, etc. ), and construction monitoring. This course is a core requirement for the Geotechnical Master of Engineering program at MIT. This course will cover the following topics: Magnetostatics Origin of magnetism in materials Magnetic domains and domain walls Magnetic anisotropy Reversible and irreversible magnetization processes Hard and soft magnetic materials Magnetic recording Special topics include magnetism of thin films, surfaces and fine particles; transport in ferromagnets, magnetoresistive sensors, and amorphous magnetic materials. This course will cover the following topics: Magnetostatics Origin of magnetism in materials Magnetic domains and domain walls Magnetic anisotropy Reversible and irreversible magnetization processes Hard and soft magnetic materials Magnetic recording Special topics include magnetism of thin films, surfaces and fine particles; transport in ferromagnets, magnetoresistive sensors, and amorphous magnetic materials. 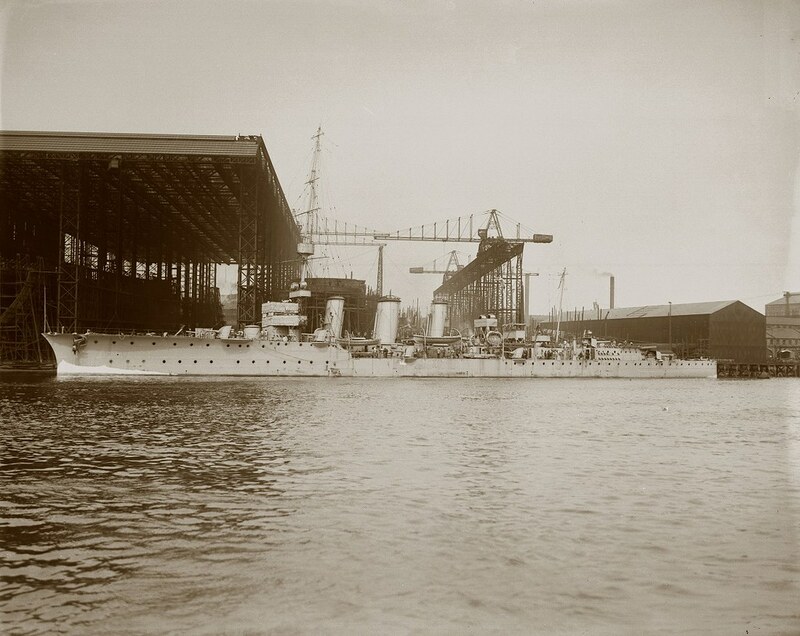 This shows one of the four bladed propellers of the Mauretania, manufactured by Wallsend Slipway & Engineering Company Limited (as can be seen on one of the blades to the right). The Mauretania was built by the shipbuilders Swan Hunter and Wigham Richardson Ltd, at the Wallsend shipyard and was one of the most famous ships ever built on Tyneside Ref: TWAS:DS.WS/143/2/5/A346F (Copyright) We're happy for you to share this digital image within the spirit of The Commons. Please cite 'Tyne & Wear Archives & Museums' when reusing. Certain restrictions on high quality reproductions and commercial use of the original physical version apply though; if you're unsure please email archives@twmuseums.org.uk. To purchase a hi-res copy please email archives@twmuseums.org.uk quoting the title and reference number. This section of the Mauretania was the lead from the boilers to the base of one of the funnels, to exhaust the smoke and flue gas. 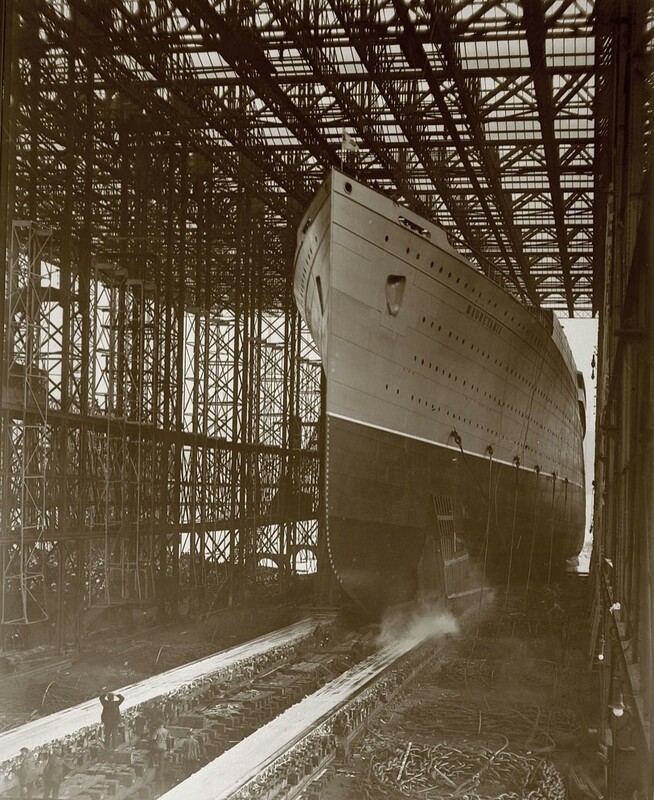 The Mauretania was built by the shipbuilders Swan Hunter and Wigham Richardson Ltd, at the Wallsend shipyard, sections being made by Wallsend Slipway & Engineering Company Limited. 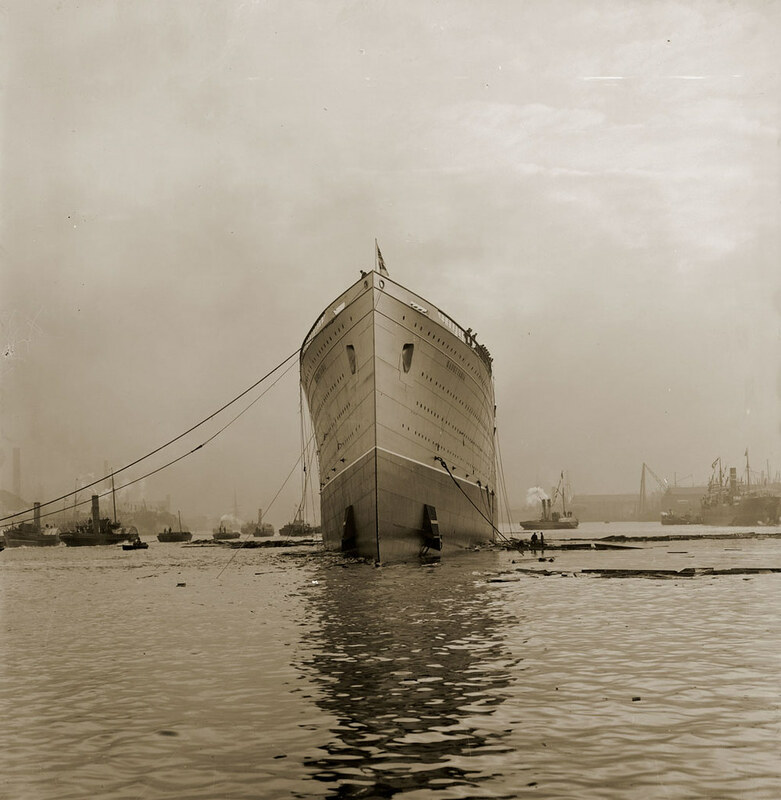 RMS MAURETANIA was one of the most famous ships ever built on Tyneside. Ref: TWAS:DS.WS./143/2/1 (Copyright) We're happy for you to share this digital image within the spirit of The Commons. Please cite 'Tyne & Wear Archives & Museums' when reusing. Certain restrictions on high quality reproductions and commercial use of the original physical version apply though; if you're unsure please email archives@twmuseums.org.uk. To purchase a hi-res copy please email archives@twmuseums.org.uk quoting the title and reference number. A view of the bridge front of the Mauretania. The Mauretania was built by the shipbuilders Swan Hunter and Wigham Richardson Ltd, at the Wallsend shipyard and was one of the most famous ships ever built on Tyneside. Ref: TWAS:DS.SWH/4/PH/7/6/53 (Copyright) We're happy for you to share this digital image within the spirit of The Commons. Please cite 'Tyne & Wear Archives & Museums' when reusing. Certain restrictions on high quality reproductions and commercial use of the original physical version apply though; if you're unsure please email archives@twmuseums.org.uk. To purchase a hi-res copy please email archives@twmuseums.org.uk quoting the title and reference number. The Wallsend Slipway and Engineering Company Limited, which constructed 'Mauretania's turbines, with female workers in the yard. ND 1914-1918 Ref: TWAS:DS.WS/143/35 (Copyright) We're happy for you to share this digital image within the spirit of The Commons. Please cite 'Tyne & Wear Archives & Museums' when reusing. Certain restrictions on high quality reproductions and commercial use of the original physical version apply though; if you're unsure please email archives@twmuseums.org.uk. To purchase a hi-res copy please email archives@twmuseums.org.uk quoting the title and reference number. Heres a view showing the second- class promenades of the Mauretania. The Mauretania was built by the shipbuilders Swan Hunter and Wigham Richardson Ltd, at the Wallsend shipyard and was one of the most famous ships ever built on Tyneside. Ref: TWAS:DS.SWH/4/PH/7/6/54 (Copyright) We're happy for you to share this digital image within the spirit of The Commons. Please cite 'Tyne & Wear Archives & Museums' when reusing. Certain restrictions on high quality reproductions and commercial use of the original physical version apply though; if you're unsure please email archives@twmuseums.org.uk. To purchase a hi-res copy please email archives@twmuseums.org.uk quoting the title and reference number. 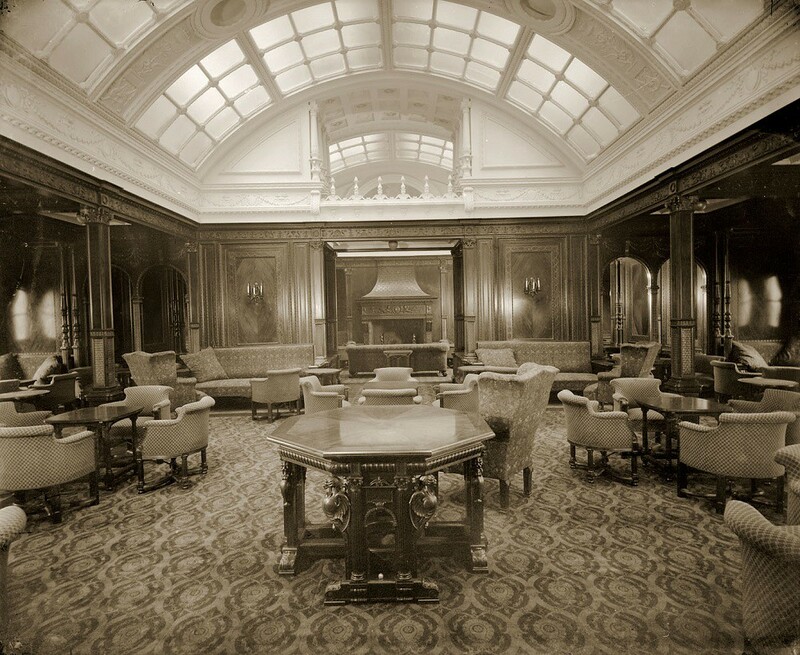 Heres a view of the second-class drawing room on the RMS Mauretania. The Mauretania was built by the shipbuilders Swan Hunter and Wigham Richardson Ltd, at the Wallsend shipyard and was one of the most famous ships ever built on Tyneside. Ref: TWAS:DS.SWH/4/PH/7/6/29 (Copyright) We're happy for you to share this digital image within the spirit of The Commons. Please cite 'Tyne & Wear Archives & Museums' when reusing. Certain restrictions on high quality reproductions and commercial use of the original physical version apply though; if you're unsure please email archives@twmuseums.org.uk. To purchase a hi-res copy please email archives@twmuseums.org.uk quoting the title and reference number. This photograph shows the bookcase in the library of the Mauretania. Situated on the boat deck, along with a lounge, music room and smoking room, the library was one of many first-class facilities on board the ship. The Mauretania was built by the shipbuilders Swan Hunter and Wigham Richardson Ltd, at the Wallsend shipyard and was one of the most famous ships ever built on Tyneside. Ref: TWAS: DS.SWH/4/PH/7/6/9 (Copyright) We're happy for you to share this digital image within the spirit of The Commons. Please cite 'Tyne & Wear Archives & Museums' when reusing. Certain restrictions on high quality reproductions and commercial use of the original physical version apply though; if you're unsure please email archives@twmuseums.org.uk. To purchase a hi-res copy please email archives@twmuseums.org.uk quoting the title and reference number. This is the second class dining room on the Mauretania. The Mauretania was built by the shipbuilders Swan Hunter and Wigham Richardson Ltd, at the Wallsend shipyard and was one of the most famous ships ever built on Tyneside. Ref: TWAS:DS.SWH/4/PH/7/6/32 (Copyright) We're happy for you to share this digital image within the spirit of The Commons. Please cite 'Tyne & Wear Archives & Museums' when reusing. Certain restrictions on high quality reproductions and commercial use of the original physical version apply though; if you're unsure please email archives@twmuseums.org.uk. To purchase a hi-res copy please email archives@twmuseums.org.uk quoting the title and reference number. Heres a view of the navigating house on board the Mauretania. The Mauretania was built by the shipbuilders Swan Hunter and Wigham Richardson Ltd, at the Wallsend shipyard and was one of the most famous ships ever built on Tyneside. Ref: TWAS:DS.SWH/4/PH/7/6/55 (Copyright) We're happy for you to share this digital image within the spirit of The Commons. Please cite 'Tyne & Wear Archives & Museums' when reusing. Certain restrictions on high quality reproductions and commercial use of the original physical version apply though; if you're unsure please email archives@twmuseums.org.uk. To purchase a hi-res copy please email archives@twmuseums.org.uk quoting the title and reference number. The observation room was based on the promenade deck. Here passengers could view the vessel forging ahead, but had protection from the strong winds that were caused by the great speeds that Mauretania travelled. The Mauretania was built by the shipbuilders Swan Hunter and Wigham Richardson Ltd, at the Wallsend shipyard and was one of the most famous ships ever built on Tyneside. Ref: TWAS:DS.SWH/4/PH/7/6/33 (Copyright) We're happy for you to share this digital image within the spirit of The Commons. Please cite 'Tyne & Wear Archives & Museums' when reusing. Certain restrictions on high quality reproductions and commercial use of the original physical version apply though; if you're unsure please email archives@twmuseums.org.uk. To purchase a hi-res copy please email archives@twmuseums.org.uk quoting the title and reference number. There were 9 decks in the Mauretania and this was the Grand Entrance on the boat deck. Also on this deck was the first-class library, the first-class lounge and music room, the first-class smoking room and the verandah caf�. The Mauretania was built by the shipbuilders Swan Hunter and Wigham Richardson Ltd, at the Wallsend shipyard and was one of the most famous ships ever built on Tyneside. Reference: TWAS:DS.SWH/4/PH/7/6/20 (Copyright) We're happy for you to share this digital image within the spirit of The Commons. Please cite 'Tyne & Wear Archives & Museums' when reusing. Certain restrictions on high quality reproductions and commercial use of the original physical version apply though; if you're unsure please email archives@twmuseums.org.uk. To purchase a hi-res copy please email archives@twmuseums.org.uk quoting the title and reference number. On board the RMS Mauretania, was housed this spectacular verandah caf�. It was situated on the boat deck where passengers could sit and drink their coffee in the open air - looking out to sea. The Mauretania was built by the shipbuilders Swan Hunter and Wigham Richardson Ltd, at the Wallsend shipyard and was one of the most famous ships ever built on Tyneside. Reference: TWAS:DS.SWH/4/PH/7/6/40 (Copyright) We're happy for you to share this digital image within the spirit of The Commons. Please cite 'Tyne & Wear Archives & Museums' when reusing. Certain restrictions on high quality reproductions and commercial use of the original physical version apply though; if you're unsure please email archives@twmuseums.org.uk. To purchase a hi-res copy please email archives@twmuseums.org.uk quoting the title and reference number. View of the engine room controls. The inner wheel you can see towards the middle of the photograph was used to control steam to the low pressure turbine for manoeuvring. The outer wheel was used for ocean steaming and controlled the main steam flow to the high pressure turbine. The Mauretania was built by the shipbuilders Swan Hunter and Wigham Richardson Ltd, at the Wallsend shipyard. RMS MAURETANIA was one of the most famous ships ever built on Tyneside. Reference: TWAS:DS.SWH/4/PH/7/6/57 (Copyright) We're happy for you to share this digital image within the spirit of The Commons. Please cite 'Tyne & Wear Archives & Museums' when reusing. Certain restrictions on high quality reproductions and commercial use of the original physical version apply though; if you're unsure please email archives@twmuseums.org.uk. To purchase a hi-res copy please email archives@twmuseums.org.uk quoting the title and reference number. First and second class kitchens on RMS "Mauretania" The Mauretania was built by the shipbuilders Swan Hunter and Wigham Richardson Ltd, at the Wallsend shipyard. RMS MAURETANIA was one of the most famous ships ever built on Tyneside. Reference: TWAS:DS.SWH/4/PH/7/6/49 (Copyright) We're happy for you to share this digital image within the spirit of The Commons. Please cite 'Tyne & Wear Archives & Museums' when reusing. Certain restrictions on high quality reproductions and commercial use of the original physical version apply though; if you're unsure please email archives@twmuseums.org.uk. To purchase a hi-res copy please email archives@twmuseums.org.uk quoting the title and reference number. This is one of the first class pantries on board the Mauretania. The Mauretania was built by the shipbuilders Swan Hunter and Wigham Richardson Ltd, at the Wallsend shipyard. RMS MAURETANIA was one of the most famous ships ever built on Tyneside. Reference: TWAS:DS.SWH/4/PH/7/6/48 (Copyright) We're happy for you to share this digital image within the spirit of The Commons. Please cite 'Tyne & Wear Archives & Museums' when reusing. Certain restrictions on high quality reproductions and commercial use of the original physical version apply though; if you're unsure please email archives@twmuseums.org.uk. To purchase a hi-res copy please email archives@twmuseums.org.uk quoting the title and reference number. Here's the special state room on D deck of the "Mauretania". 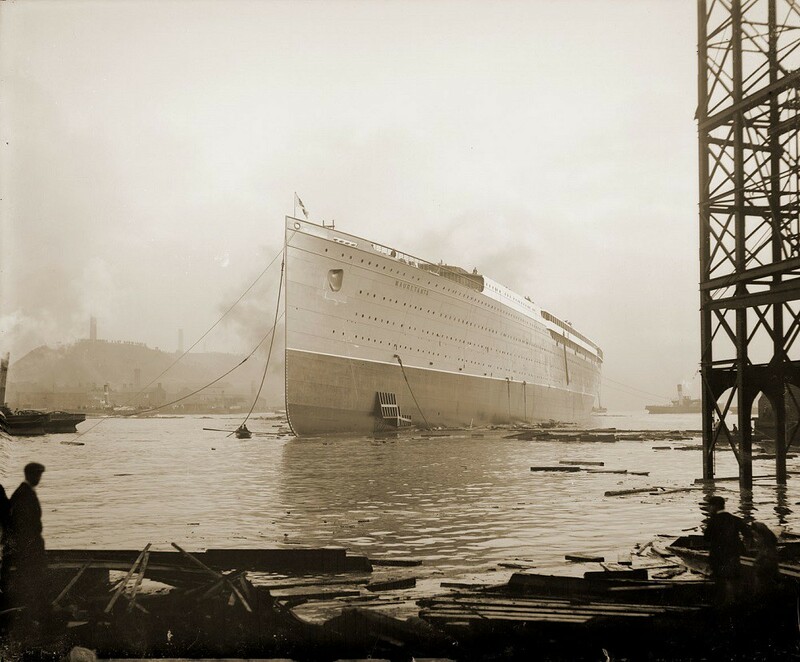 Built by the shipbuilders Swan Hunter and Wigham Richardson Ltd, at the Wallsend shipyard, RMS MAURETANIA was one of the most famous ships ever built on Tyneside. Reference: TWAS:DS.SWH/4/PH/7/6/43 (Copyright) We're happy for you to share this digital image within the spirit of The Commons. Please cite 'Tyne & Wear Archives & Museums' when reusing. Certain restrictions on high quality reproductions and commercial use of the original physical version apply though; if you're unsure please email archives@twmuseums.org.uk. To purchase a hi-res copy please email archives@twmuseums.org.uk quoting the title and reference number.